One of the most spectacular aspects of computer-based documentation is the ability to create 3D models of archaeological sites and objects. 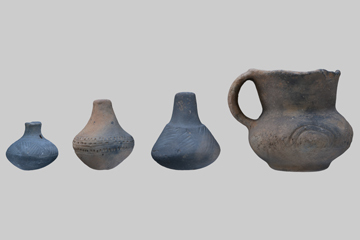 Those high detailed, digital copies of artifacts and monuments give us lots of new opportunities to examine and present archaeological objects. Thanks to the 3D modelling we are able to recreate damaged artifacts and with the help of GIS data we can even try to recreate the landscapes from the past. All our efforts with 3-dimensional models can be presented in different kinds of animations and pictures. Digital Archaeology can also convert even the most complex models so they can be viewed on the web sites as interactive presentations.